What is a blue trunk? Don’t worry, this isn’t a precursor to one of my appalling cracker jokes. In fact it’s even better. The Blue Trunk Library is a development project commissioned by the World Health Organization. It is pretty much what it says on the tin (or trunk) – a collection of publications and reading material organised according to major subjects, containing over 100 books on medicine and public health. These containers are installed in district health centres in Africa in an attempt to compensate for the lack of up-to-date medical and relief information. The trunks feature the latest publications, mainly practical manuals created for the purpose by WHO, which offer accessible and effective solutions to the clinical, public health and management problems medical personnel in remote regions face. 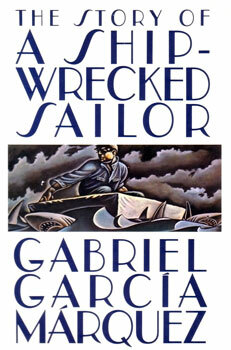 From the novelist who brought us the timeless and widely under-appreciated greats ‘Love in the Time of Cholera’ and ‘One Hundred Years of Solitude’, Márquez’s lesser-known work of non-fiction, ‘The Story of a Shipwrecked Sailor’ is a first-hand account from the perspective of sailor Luis Alejandro Valesco. Valesco relates his rise to fame following his survival for ten days at sea without supplies . He posthumously, and supernaturally relates how he dies; neglected and forgotten by the government and peoples who first proclaimed him a national hero. This sailor’s ordeal resonates with the current migrant crisis experienced across the European Union. Only yesterday, graphic images of a dead Syrian child washed up on the shores of Bodrum, Turkey, were shown across international media, in an attempt to force and shock governments into supportive action. ‘The Story of a Shipwrecked Sailor’ talks of a human ordeal – against Nature and at the hands of other humans. Valesco is left behind – we cannot afford to see this story reappearing in modern mouths. An accessible and direct work that both tells and shows (through graphs, illustrations and statistics) how the human race is waging an unsustainable war on the world. Just over 200 years ago, there were one billion humans on Earth. There are now over seven billion of us. At some point before the next century, this figure will hit the ten billion mark. Emmott shows how we are the cause of the critical issues of our world and times. Deforestation. Desertification. Extinction of species. Global warming. Health issues driven by poverty and resource shortages. With a background firmly rooted in research into the natural complex systems, ‘Ten Billion’ offers a frightening look at an overcrowded and overburdened Earth, both now and in the future. In the foreword to this account, President Barack Obama writes: ‘Nelson Mandela has done so much to change his country, and the world, that it is hard to imagine the history of the last several decades without him’. ‘Conversations with Myself’ tracks the inside world and experiences of the private man behind the iconic public figure. Based and incorporating the epistolary fragments from Mandela’s 27 years of imprisonment and rough material from an unfinished sequel to ‘The Long Walk to Freedom’ readers seem to overhear the hidden rumination of their author. Unlike the many reverent biographies and memoirs of Mandela, readers of this work encounter a normal, humanising voice. An intimate snapshot into the private beliefs and voice of a man who galvanised the international world with a clear and compelling political conscience. Global leaders in health and policy are increasingly acknowledging the limitations of conventional measures and analysis of poverty and poverty reduction policies. This book, co-published with the UN’s Dept of Economic and Social Affairs, offers a critical appraisal of the existent models. Fundamentally motivated by the pervasive threat of poverty around the world, it registers the increased international focus on this problem since the 1980s, but calls for greater, and more informed, assessment tools to approach poverty and its associated circumstances through innovative development. One of a collection, this work cites mainstream perspectives on poverty and deprivation as distorting understanding and resulting in discreditable and ineffective policy recommendations. Most notably, it highlights the World Bank’s dollar-a-day measure of poverty and exposes the inadequacies of Bretton Woods-inspired poverty reduction methods. Published in 1933, ‘Down and Out’ is perhaps a surprising title in this selection. A memoir inspired by Orwell’s own experiences of poverty in the two capital cities, this work offers an intriguing companion to the modern-day vista and analysis offered in ‘Poor Poverty’. 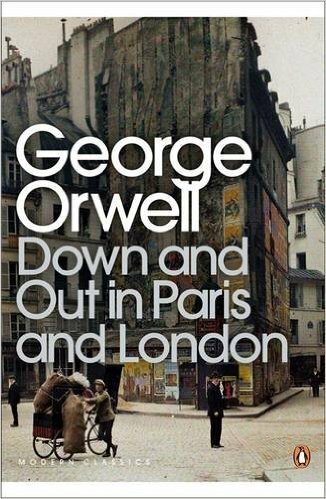 In typical Orwellian style, this book is an extraordinary clash of cultures, view-points and liaisons, moving from an account of an impoverished and casual work existence in Paris, through a travelogue as a down and out in London’s byways. Its factual status is debated, but referring to ‘Down and Out’, Orwell wrote ‘nearly all the incidents described there actually happened, though they have been re-arranged’. Whether authorial license is wielded or otherwise, the piece is perhaps one of the finest examples of Orwell’s ability to situate the reader within the world – in this case, one which is as inhospitable as it is overwhelming. The back cover of Orbinski’s ‘An Imperfect Offering’ is studded with the typical tokens of praise and journalistic anaphoras. Most sound is Stephanie Nolan, author of 28: Stories of AIDS in Africa’s recommendation: ‘James Orbinski has lived for years in the middle of the worst that humans can be, and somehow emerged with both his compassion and his desire to understand us intact […] the stories he has to tell are some of the most powerful I have ever read’. Powerful this book most certainly is. Telling of the author’s background as a medic, of his travels and endeavours in humanitarian fields, there is a certain stamp of authenticity – as well as privilege – in branding the work the product of a former Head of Mission for Médecins Sans Frontières (MSF). This is the life of a man who has pushed himself beyond even self-imposed goals with incredible resilience and stamina. The work treads softly through the difficulties of balancing being saviour, humanist and doctor from a man who really manages that rather well. 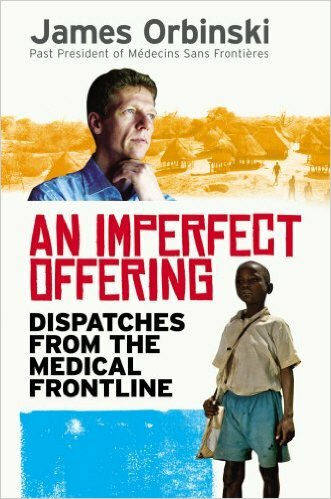 ‘An Imperfect Offering’ tracks his journey from the Twin Towers massacre, through his co-founding of AIDs charity Dignitas International, to a Rwanda post-genocide. A must-read for honesty, hope and humanity. Sontag is something of a personal favourite, and this remarkable essay is characteristic of her ability to see things through a glass darkly. Her last published work, it reads as an addendum to ‘On Photography’, or rather a new viewpoint on how to consider photography, focusing in particular on shots of war and conflict. In an attempt to answer the question Virginia Woolf poses in ‘Three Guineas‘: ‘how in your opinion are we to prevent war?’, Sontag identifies the constraints and possibilities of images featuring this subject matter as potential sites of change, horror and pain. The double bind of much humanitarian writing and depictions persists throughout this book: their ability to inspire and inform, finally blunted by the audience’s knowledge that they were not actually there, and possibly cannot ever comprehend the resultant realities. 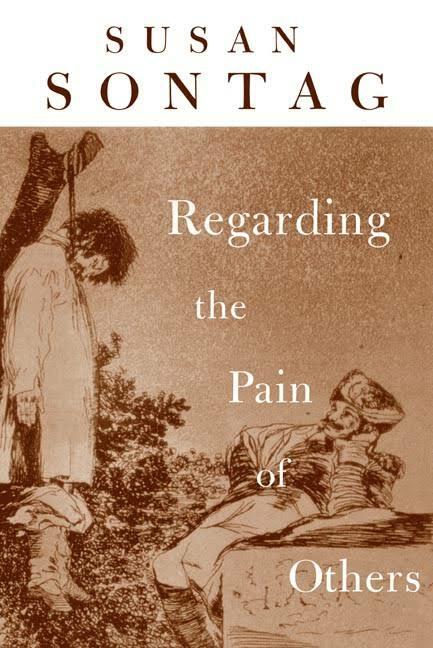 ‘Regarding the Pain of Others’ pairs and then uncouples narrative with often graphic and triggering images. As compelling as it is challenging. Conor Foley has, and continues to receive, a fair amount of criticism from humanitarians and writers alike, for at times sensationalised, or easy-sell written offerings. However, there is real value in the experiences of ‘The Thin Blue Line’. 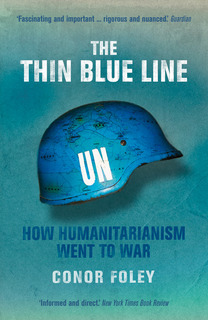 A first-hand account of the failure of humanitarian intervention, from Somalia to Iraq, Foley relates experiences few of us will ever have access to, either in a professional or personal capacity. Overlooking his favoured recourse to hyperbole, Foley’s work explores humanitarianism and its place in a lucrative industry that has been formative in shaping responses to international crises. His work as a relief worker in conflict and post-crisis zones informs his relation of how international law is increasingly oppressing the self-governance of some of the poorest countries globally. 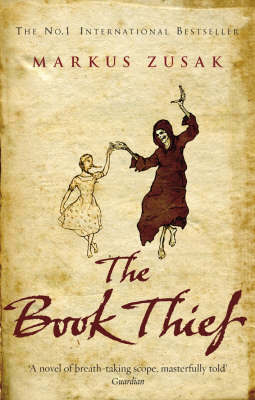 A favourite of book clubs, ‘The Book Thief’ is commendable on so many fronts. Relating the life of main character Liesel Meminger, a nine-year old Jewish refugee staying with her adoptive parents in Germany during WWII, Sukas writes a bildungsroman that struggles to preserve innocence and safeguard childhood while exposing the cruelty and invasion of the Nazi regime. Perhaps the reason for ‘The Book Thief’s’ resounding success is voiced within the text by Death: ‘I guess humans like to watch a little destruction. Sand castles, houses of cards, that’s where they begin. Their great skill is their capacity to escalate’. The work captures universal struggles with identity, mortality, purpose. For those of you who have already encountered the book, read it again. Then watch the film. It almost lives up to the written words. Any humanitarian inspired reading list needs a balance between personal accounts, fictional pieces registering core values, and the landscape shifting policy publications of international organisations. 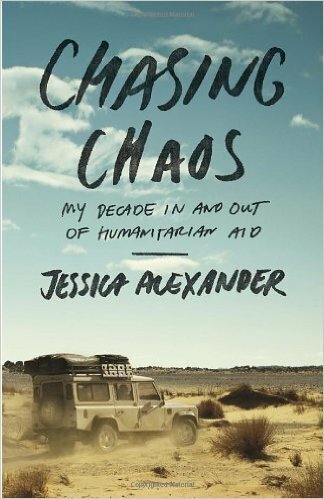 Jessica Alexander’s ‘Chasing Chaos’ wants to land squarely in the personal account category, but manages to straddle the lot. From the plethora of works written during and following the Rwandan Genocide, this work, written following the 1994 crisis, tracks the all too familiar journey from idealistic volunteer to professional informed by the messy reality of a zone earmarked for, and the recipient of, humanitarian aid. Her irreverent voice leads us from Rwanda to Sierra Leone, capturing the hardships and joys of working for international aid. A work that is self-aware of the ironies of its motivation and subject, ultimately it earns its place among such writings, based on a life of resilience and realism. Although this list would like to indicate otherwise, my Ikea bookshelves are, in fact, heaving, testing the skill of my wrong-screwdriver DIY activity. So too, this selection is just that – a limited offering that does little justice to the range of material that continues to crop up. So watch out for MdM’s book of the month.